A wide-ranging ban on single-use plastics aimed at addressing marine and terrestrial plastic pollution has been overwhelmingly passed in European parliament. In a significant indication of overwhelming support for the move, the proposed legislation passed by 571 votes to just 53. 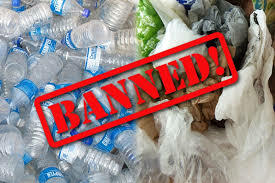 By 2021, items such as plastic straws, cotton swabs, disposable plastic plates and cutlery will be outlawed throughout the European Union, with 90% recycling of plastic bottles achieved by 2025. The proposed directive positions the EU as a global leader in addressing the growing plastic pollution crisis. “Today we are one step closer to eliminating the most problematic single use plastic products in Europe,” said environment commissioner Karmenu Vella. For the directive to be legislated into law, member states still need to vote in favour of it in the European council. Commissioners involved indicated this could happen as early as November, meaning it could be law by the end of the year. Plastic waste can take centuries to fully degrade once it enters the natural environment and this can have serious impacts on ecosystems, especially in the ocean. Lightweight single-use plastic products are among the most problematic of these items as they can travel extremely long distances on currents, absorbing toxins on the way that cause even greater damage to marine flora and fauna. The news comes following a concerning study that found microplastics in the stool of people from eight different countries. Tiny plastic particles and fibres had already been found in birds, fish and other marine life, but this was the first occasion they have been encountered in humans. At this stage the potential risks to human health are unknown, making addressing plastic pollution an absolute imperative.